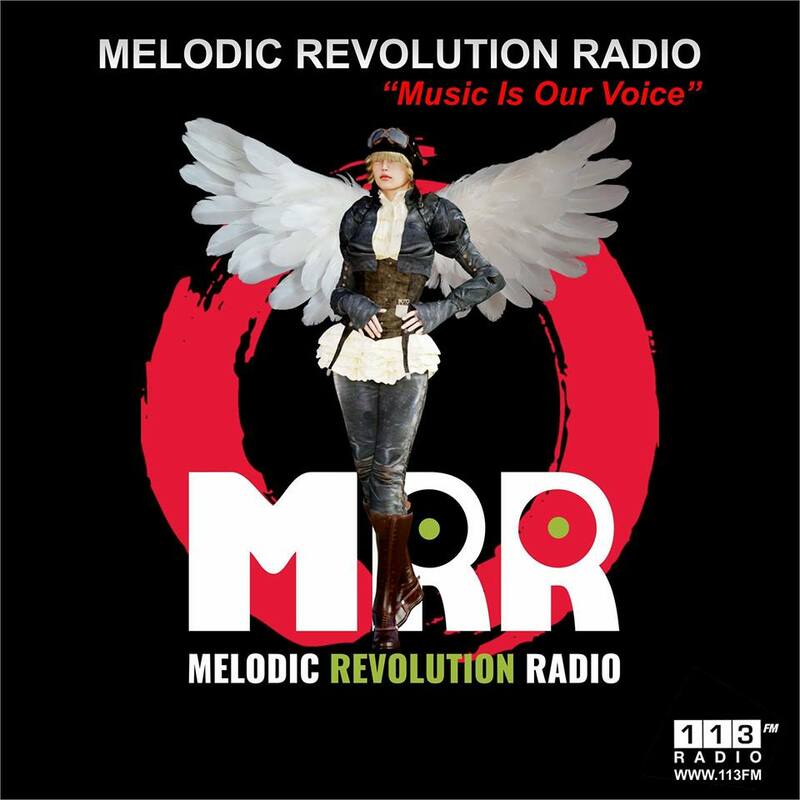 We are extremely proud to announce that we have parented with 113FM to host our very own radio station simply called MELODIC REVOLUTION RADIO. We hope to go live before the end of the year. Our Avatar incorporates many recognizable elements like the tweaked MRR logo, also we decide to bring back the navigator girl who first made her appearance at RoSfest on the Upload Me CD and Download Me Cards. You will be able to stream our artist music and interviews on your portable devices such as smartphones and tablets and you will be able to do this on the fly via our free mobile app (available via iTunes) the app will be cool too as it features album art, band info by many of our artists. You will also be able to request tracks when we are doing a live broadcast right from the app in real time. There will also be links to our social media pages like Instagram, facebook, and twitter which will be launched soon. There will be a custom player on the Melodic Revolution Records Official Website and you will also be able to find and stream us on TuneIn.